Thousands of Allied troops parachuted into the Nazi-held Netherlands in September 1944 as part of Operation Market Garden. 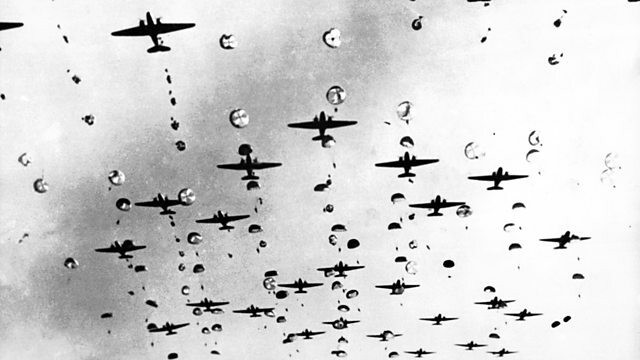 Thousands of Allied troops parachuted into the Nazi-occupied Netherlands in September 1944. At that point, it was the most ambitious Allied airborne offensive of World War Two. British, American and Polish troops were dropped behind German lines in an attempt to capture a series of bridges on the Dutch/German border. Mike Lanchin has spoken to Hetty Bischoff van Heemskerck who, as a young woman, watched the Allied paratroopers come down close to her home in the city of Arnhem.